The Association of Chartered Certified Accountants (ACCA) has awarded Suren Rajakarier of KPMG Sri Lanka its Advocate of the Year Award. 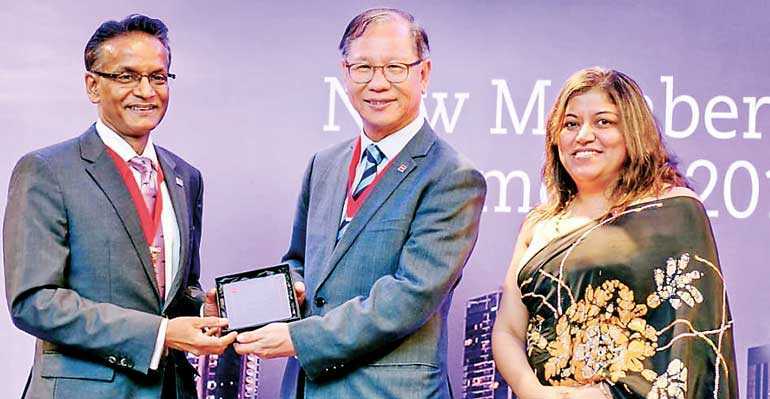 Rajakarier is being recognised for his work helping to build ACCA’s brand within South Asia, by initiating the process of KPMG becoming a Platinum Approved Learning Provider. This has led to KPMG becoming the largest ACCA student and affiliate employer within Sri Lanka. He has also been a part of the ACCA mentoring program for the last four years. ACCA launched the regional advocacy awards last year to recognise members who go above and beyond in expressing public support for the accountancy profession, embodying ACCA’s values. These advocates are also members who deliver public value, display ethical professionalism and inspire others to follow in their footsteps. The Advocacy Awards are not about career achievement, but about the way ACCA members give back to their communities, and help ACCA to develop the next generation of professional accountants. The ACCA Advocacy Award winners for 2018 comprise of ACCA Middle East and South Asia Advocate of the Year T J Suren Rajakarier from Sri Lanka; ACCA Emerging Markets Advocate of the Year Jarosław Grzegorz from Poland; ACCA ASEAN and ANZ Advocate of the Year Alice Tan from Singapore; ACCA Greater China Advocate of the Year Major Qinxue Mei from China; ACCA Europe & Americas Advocate of the Year Etain Doyle from Ireland; and ACCA Africa Advocate of the Year Paul Ankunda from Uganda.